Your Praxis study guide and Praxis practice test probably has a lot of generic academic info and over simplistic sample questions that don’t cover the official Educational Testing Service (ETS) core competencies. Praxis study guides with phony content won’t help you pass and get your teacher certification. If you fail, you risk delaying your teaching career and have to start studying all over again from scratch. The following provides a free Praxis study guide to pass the Social Studies, Elementary Education, English, Math, Special Education, Principles of Learning and Teaching (PLT) or other education ETS exams faster and easier. Many Praxis study guides from name brand publishers sold at Barnes and Noble and Amazon.com fail to cover the content knowledge tested. Some actually have wrong material in their preparation materials. You could go in the wrong direction and waste weeks or even months of valuable test prep time. You need to invest that critical study time mastering real content measured on your exam. That is, if you want to pass the Praxis test. Too many Praxis test study guides have practice questions that are much easier than the real exam. They have over simplistic sample questions and answer choice structures. Avoid getting a false sense of security on this high stakes teacher certification exam. You must prepare at the same level of difficulty as the specific Educational Testing Service (ETS) exam you face. If your Praxis book’s practice test questions are easier than the actual exam consider getting a different guide. Moreover, if your study manual doesn’t accurately cover the content and structure of your ETS exam, get a different test prep guide immediately. Any good Praxis exam study guide should have full answer explanations in the practice questions. The answer rationales should explain why each wrong answer is wrong and why the correct answer is most correct, so you’re constantly learning through this test taking exercise. However, many Praxis prep guide reviews by test takers state some practice test questions appeared verbatim on the actual examination. To get realistic and accurate practice questions, use test prep companies who have materials authored by former test takers and teachers who passed. Praxis tests like the English Language, Literature and Composition and Social Studies have constructed response questions. Like any skill, discovering how to answer constructed response questions is a learned skill, not a natural ability. Many Praxis study guides do not have many constructed response practice questions. Further, those preparation manuals do not adequately teach you skills in responding to construction response question. They usually lack a system to accurately score your constructed responses. Test takers who get their hands on the few constructed response practice tests available benefit immensely. Study guides for the Praxis test that provide information about constructed response questions usually only give you samples of a good and bad response. This still can provide you with a general outline on how to effectively draft written answers to constructed response questions. Warning: Even if your ETS test is only partially constructed response do NOT underestimate their power in making you pass or fail. Some exams like Teaching of Reading, Principles of Learning and Teaching (PLT) and Teaching Foundations have a combination of multiple choice and constructed response questions. Many test takers do not fare well in the constructed responses. They think that they should concentrate Praxis study on selected response questions. This is not a good strategy in getting a passing score. Few they maybe, weigh heavily in the total scoring from 25 to as much as 67%. Moreover, some test takers fail by a measly 2 points, which could have been easily raised by a correctly answering a single constructed response question. You only have a few minutes allotted for every question so you must be able to come up with a quick answer. To effectively answer constructed response questions, focus on the question by rephrasing it. Then break it down under several sub-questions. The key is in putting yourself in the view point of the test question writer. Think what key points or theories that person is intending to see in your response. Use a brief and simple mind map, pre-write and/or outline your points before you start writing to save time. This ensures you hit each point, answers the question required, don’t lose limited testing time and don’t go off in the wrong direction (which will cost you points). Schedule your Praxis study sessions into your week and each day. This creates a forcing system to keep you on track and avoid procrastination. Set specific start and stop times you will dedicate to uninterrupted study. These are block times when the only thing you will do during this time is prep for the test. Determine the parts of your ETS teacher certification exam that account for the most points and where you’re the weakest. Dedicating time to just those areas will increase your score more in each hour going over content you enjoy and are already somewhat proficient in. Don’t begin reviewing your Praxis study guide diving in at random. Write a quick short list of what you need to review in each session before starting and stick to it. Check off the items you covered while moving forward to the next task. Don’t push your Praxis study guide sessions to last priority when there isn’t much time left in the day, you feel tired and you aren’t as mentally sharp. You’ll get a lot more accomplished when you’re most alert. If that means getting up an hour earlier before work or school to study between now and your testing date then do what you need to in order to succeed. Avoid interruptions when reviewing your Praxis study guide. For example, a ringing phone, social media updates, text messages, TV in the background, demands from other people, etc. You need to stay focused while reviewing. Each interruption can rob you of as much as 10-25 minutes just to get back to where you were before the interruption not to mention the time you took away from your studies. Every distraction robs minutes, hours and weeks from the long term pay off you deserve. Do yourself a favor and make achieving success easier. Turn off your cell phone, email alerts and get the people in your life (e.g. friends and family) to support and not bother you during these times. 4.) Should You Use Free Praxis Study Guides Online? There are some free Praxis study guides online. Some seem good at first glance, but will they help you when it comes time to walk into that dreaded test center?… Even major national test prep companies won’t give Praxis study guide content away for free on their website. Therefore, you should be skeptical of any Praxis study guide website offering free pdfs or online practice test questions. Use any free test prep materials with caution and only lightly. Don’t rely on a free e-book or free preparation website to propel you to a rewarding bright career as a teacher. Without the best Praxis study guide a test taker could have gaps in the critical content knowledge required to achieve a passing score. A good review manual guarantees you won’t destroy your score by making foolish mistakes on exam day. Go to: FREE Practice Guide To Pass Your Teacher Certification Exam. Which of the following elements would not be found in a fiction text with a chronological structure? Who is most likely the speaker in the poem? Which of the following statements is most accurate about English Language Learners? (A) Transfer of reading skills across languages is consistent regardless of the alphabet system used in the student’s primary language. (B) Traditional methods of instruction, such as cooperative learning or use of behavioral objectives, are not effective with English Language Learners until they reach the ‘proficient’ level. (C) Teaching students to read in their first language promotes higher levels of reading achievement in English. (D) Beginning English Language Learners should be encouraged to go through a ‘quiet period’ during which they simply take in language before attempting to produce language. Which of the following words has a Latin root that means “mass or heap”? On weekends, my family likes to go golfing, take hikes in the woods, or watching a good movie together. (A) The incorrect conjunction is used. (B) There is incorrect subject-verb agreement in my family likes. (C) Commas are used incorrectly. (D) It does not maintain parallel structure. Which stage of the writing process should most frequently be performed individually? Which statement is true about the correlation between learning and using communication skills? (A) Listening will be used more often than other communication skills, but it is the least frequently taught communication skill. (B) Reading is both the most commonly taught and most commonly used communication skill. (C) Speaking skills do not have to be taught explicitly, because they are the most commonly used form of communication. (D) Writing skills are the least frequently used, and therefore the least frequently taught, communication skill. Suppose students view a photograph of a farmer using a horse to pull a wooden and metal plow. Which question could best be answered using the knowledge they gain from viewing the photograph? (A) What will be the next stage in raising crops? (B) What factors caused this person to rely on agriculture for a living? (C) How did farming long ago differ from farming today? (D) What resources is the farmer using? The correct answer is (B). A fiction text with a chronological structure is an untrue piece of literature in which events are told in the order they occur. A flashback is an interruption of the chronological order of a piece that gives the account of an earlier occurrence. Authors often use a flashback in a fiction text to give the reader background information. A historical setting can provide the backdrop for a fiction text that is told chronologically, with all events happening in the past. Dialogue between characters is a common feature of fiction text. It is simply the words characters use in conversation with one another and does not affect the chronology of the piece. Foreshadowing is a technique that hints at future events, but does not disrupt the chronological flow of a text. Suspense is the feeling a reader has as they anticipate events in a text. Both are common to fiction texts and do not affect the chronology. The correct answer is (D). Slant rhyme is a partial rhyme in which two words come close to rhyming but don’t truly rhyme. In this poem, the slant rhymes generally have the same ending consonant but a different preceding vowel sound. In this poem, the slant rhymes are spoiled/spilled, tigress/progress, mystery/mastery, world/walled. Allegory is a literary technique in which surface details have an implied secondary meaning. Free verse is a style of poetry that does not have a distinct meter or rhyme pattern. This poem has both regular meter (iambs) and rhyme (slant rhyming couplets). Simile is the comparison of two unlike things using “like” or “as.” While the poet refers to the “swiftness of the tigress,” this is not explicitly a simile. The correct answer is (A). The use of past tense (Courage was mine, and I had mystery;/Wisdom was mine, and I had mastery;) shows that the speaker is either dead or has simply lost these qualities. Another reference to death is the march of this retreating world / Into vain citadels that are not walled. The references to battle are what we spoiled, and None will break ranks. The correct answer is (C). Though the topic of bilingual education has been debated in the past, research shows that literacy skills transfer across languages so that students who are taught in both a first and second language achieve greater results in the second language than students who are taught through immersion (second language only). The correct answer is (A). The word cumulative uses the Latin root ‘cumul’ which means mass or heap. Cumulative means to gradually build up, as in a cumulative grade that takes into account all work from a semester. A related word is accumulate, which means to gather. The word accommodate is based on the Latin word for ‘suitable’. Duplication uses the Latin root ‘du’ which means two or twice. The word conformity uses the Latin root ‘form’ which means shape. The conjunction or is used correctly in the sentence, as the family will likely choose one of the activities on any given weekend. The subject family is in agreement with the verb likes because a family is considered a singular unit. The commas are used correctly after the introductory element (On weekends), between elements in a series (go golfing, take hikes), and before a coordinating conjunction (or). The correct answer is (C). A phrase is a group of words that does not have a subject and a predicate. The phrase ‘without bringing a raincoat’ has a predicate (based around the verb bringing) but it does not have a subject. The other options are all clauses, which are groups of words that do have a subject and a predicate. Options A is a dependent clause, meaning it could not stand alone as a sentence. Options B and D are independent clauses, meaning they could stand alone as sentences. The correct answer is (B). In the drafting stage of the writing process, students produce a first draft of their writing based on prewriting ideas and/or outlines. Students often work alone on this stage to produce their own unique piece of writing. The prewriting stage is often conducted as a whole group, small group, or partner activity. Collaboration during the revising and editing stages is very common and beneficial to students. The correct answer is (D). This is the only question that relies completely on visual information that can be gained from the photograph. Question A requires external knowledge of the process of raising crops to predict what will come next. Question B also relies on non-visual information to determine the causes leading up to the scene in the photograph. Question C could be determined through visual information if students were given a comparison photo, such as a farmer using a tractor. You need a good set of Praxis study guides if you’re going to pass this exam achieve your teacher certification. However, the problem is you’re looking where you can save $5 here and $9 vs seeking the real tools you need to pass. Focus in the wrong direction (saving a few dollars) leads to risking your first year teacher salary of $30,000, $35,000 or more plus benefits. For an effective Praxis study, a prep guide is the most indispensable test preparation material you will ever have. 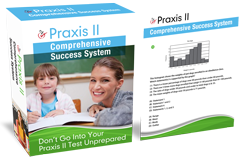 The most common problem with many Praxis prep books is that they seem inadequate as an effective and efficient test prep tool. Many test takers feel that their test prep is suffering due to inadequate practice tests. They simply don't feel most study guides for the Praxis test are sufficient to tackle a difficult exam. A dead give-away that a review guide won’t help you pass is when the Praxis practice test is easier than the real exam. Another red flag that a test preparation guide for the ETS exam isn't effective is if it reads like a textbook and doesn't have any test content focus. …In other words, test takers should be able to learn quickly and easily if the Praxis study guide explains it clearly. Is that worth pinching a few pennies and then lose the motherload of joy that will give you a life time of wealth and happiness? 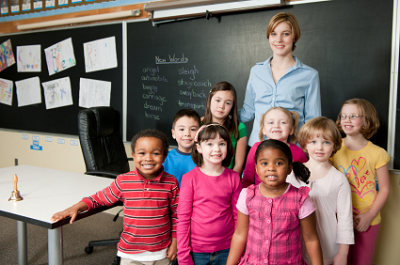 How much in student loans do you have as a result of pursuing your teaching career? How many hours did you spent every school year to obtain your education degree? More importantly, how much money have you already invested in Praxis study guides? How many sacrifices in terms of time, energy and lost wages have you already made by going to school for years just to be eligible to take the ETS administered Praxis exam? These are just some of the questions you can reflect on before and during your prep. It’s not easy to become a certified teacher especially when you first have to sort out what Praxis test study guide to use and which to pass on. It takes a lot of dedication throughout your school years to get where you now. Whether you’re taking the Praxis Elementary Education, Mathematics, Social Studies, English or any other ETS exam, you’re at a fork in the road. One direction is poor choices about study guides for the Praxis . Down that path are where thousands of examination failures who crashed on the shore of failure and lose teaching career dreams went trying to pass this exam with gimmicks and free test study manuals. The other path is your quickest route between where you now to a passing test score and getting in the classroom. It’ll cost you a little more time and money in the first few weeks, but you’ll rocket-thrust yourself to getting the teaching position you want as a certified teacher faster, easier and cheaper in the long run. If you’re looking for a free Praxis exam study guide online you might as well perish the thought. The only reason something is free is because it isn’t worth anything! Can you really afford to fail this exam? The cost of failure and loss of ‘living your passion’ as a teacher is much higher. Be prepared to invest a little more beyond what you paid in college tuition and books for Praxis study guides so you can get your dream career and start living your calling as a certified teacher. If your goal is worth it you must invest your time, money and energy into getting the best preparation materials. And since having a study guide for the Praxis test is important to your testing success, you have no choice but to find the most effective test prep guides. The other option is test failure. As you can see, your future hinges on your Praxis test study guide and test preparation. You can’t take the risk to not having a Praxis prep study guide that gives you a FOCUS and hits the real test content and test questions like a bull’s eye. For this reason, you need to have effective preparation materials and practice exams. …and also helped countless other test takers like you become productive in their prep test review. This 3-Stage Praxis Study Plan Helps You Overcome All Preparation Challenges You’ll Face! I’ve tried many Praxis books during my exam preparation. It was all a ‘trial and error’ process for me. It took me some time before I finally found a book that really helped me better prepare for the test. And now I’m going to share with you the “3-Stage Study Plan” that I used to succeed in my preparation. I’m sure you can also use this to be productive in your exam prep as well. Obtain as much information as you can about your ETS teacher certification exam. Ask former test takers what Praxis study guide books they can recommend. Ask them what topics usually come out in the test. This stage is important to give you an inside scoop regarding the Praxis . Planning is very crucial to your preparation. Once you have vital information about the test, it’s time to create your Praxis study plan. Three elements are important in your Praxis test prep plan: goals, action points and timeline. Define your goals. Make them as clear and as detailed as possible. Don’t hold these goals and in your head. They only have real power in your life if you write them down on paper. On paper they become real and take on a power of their own. Next, identify the things you must do to pass the Praxis . Again, commit this to paper by writing it down on paper. Finally, set a timeline for you to successfully reach your goals. This should help you be as efficient as possible in your Praxis guide and preparation. Acting on your Praxis study plan is arguably the most important stage. You can have the best study plan but it’s useless if you don’t execute it. Make sure you dedicate time and effort to achieve your goals. Schedule test preparation into at least 5 days of every week between now and your testing date. Follow all the action points you’ve identified into this schedule. Do something even if you only have 20 minutes each day that will help propel you a little closer to passing the exam. Do your top priority tasks. That is, the tasks that allow you to increase your score the most with the least amount of time. If you put reading your Praxis study guides as a top priority, make sure you follow through on this. It will help you stay on track and finish your preparation within the timeline you’ve set. But what if you encounter some unforeseen challenges in your preparation? Don’t panic. Review your preparation plan. Update your action points. The “3-Stage Praxis Study Plan” is flexible enough so you can address these new unexpected challenges. The best Praxis study guides will not only list down the domains and competencies covered in the examination, but will also offer definitions and descriptions. In this way, you do not need to look for any other Praxis study books, other than for supplemental reading, since you can rely more on your comprehensive study guide. An effective Praxis study guide will make use of charts, graphs or diagrams to show the interrelationship of theories or disciplines. A chart could very easily provide information that only a lengthy and boring text explanation can. A prep book will also make use of simple wordings in a direct and straightforward fashion. For instance, a 200 words definition for a single key point is not really necessary. The Praxis study guide often has an accompanying set of practice exam questions complete with rationales to gauge how much you absorbed in the course of your review and what subject areas you still need to work on. To ensure that your Praxis study is not being sabotaged by a study manual that hardly guides, find time to do research or better yet talk to fellow test takers for some valuable feedback. You can purchase one or avail of the many free study guides for the Praxis online. Know this, the best Praxis test study guide helps you go over the relevant content, but more than anything, it should help you apply critical thinking by allowing you to connect causality or relationships. “THAT did not appear when I have managed to memorize most if not all of the author’s works; while THIS did which I have never heard before so I ended up making wild guesses.” This pretty much echoed in various teachers’ forums from test takers who failed. True, surprises have known to occur in the Praxis test questions, but so did the opposite; for other test passers attest that all they ever needed to pass the test is in this one singular Praxis study material. There is bound to be a few missed items, but test takers do not have to guess blindly. For unfamiliar subjects, you could still guess intelligently by applying common sense and the power of deduction. After all, the Praxis test is designed by ETS to be more of an “analyze this” than an “identify this” kind of test. How do you maximize the Praxis study guide to help you get a passing score? As you go through your Praxis study notes, it is always ideal to pose your own questions. By asking questions, you are training yourself not just to absorb material like a robot does, but to actually digest and ponder every bit of information to achieve learning. By answering your questions, you are able to achieve a higher form of learning, which is valuable in passing. The ability to apply critical thinking is crucial in answering a test like the English Language, Literature and Composition, which only has two equally weighted constructed response questions. A Praxis study guide is maximized by making flashcards. It’s a form of review that enhances your power of recall. Though the Praxis is more than just a memorization test, candidates still has to know various things facts like events, dates and names. This is particularly true for the Praxis tests in Social Studies, which are riddled with questions requiring historical facts and figures. Check your Praxis study plan progress by taking the practice tests. Your goal is to achieve a score of 80% and higher. Not only do you need to practice with the multiple choices especially for the Educational Testing Service educator exams for Math and Special Education, but also for the constructed responses which are also featured in tests like the Teaching Reading and the Principles of Learning and Teaching (PLT). Go over your Praxis exam study guide with a study buddy or a study group. With so many materials to cover, you are sure to accomplish a more thorough review by joining a Praxis study group. You can easily divide the content in chunks. In this way, you can pace yourself better and even get the help you need for the difficult areas. 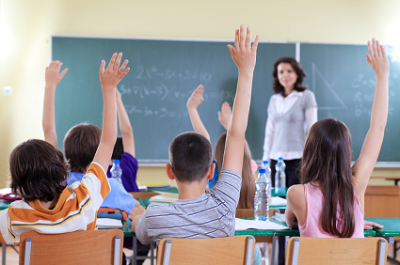 A study group is particularly helpful for multiple subject exams like the Elementary Education and Teaching Foundations. Undeniably, studying for your Praxis test is a serious undertaking that requires time and devotion. Even with the most comprehensive study guide, you are still not assured of a passing score unless you also commit to excellence, which is what all teachers should do. Do you want to learn more effective Praxis study guide tools (and actually get a passing score)?